Aston Martin is on something of a high with its current reinvention centred on the DB11 and . However, the cars which have really caught the headlines recently was the Valkyrie hypercar and its Project 003 cousins, which blow the company well into the modern age, with a technological platform to die for. It’s a sign of Aston Martin’s confidence that the company feels assured enough to go for the throat of the ultimate car on the market. Aston Martin had, though, been there before 40 years ago – producing a car designed to fight the then dominant Lamborghini Countach and Ferrari Berlinetta Boxer. The company was in a very different place in the late 1970s, when its Chairman, Alan Curtis, came up with the idea of introducing a car to outshine its then range-topper, the Oscar-India V8 Vantage. This was a shire-horse of a car – big and brutish and packing a 437bhp punch. 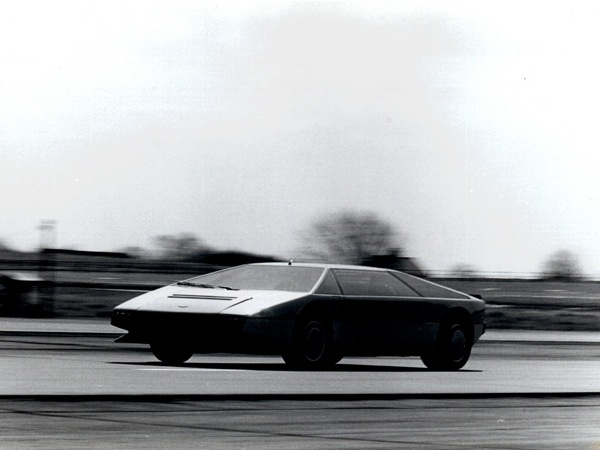 Most importantly, it was Britain’s fastest car, sprinting from 0-100mph in 13 seconds. 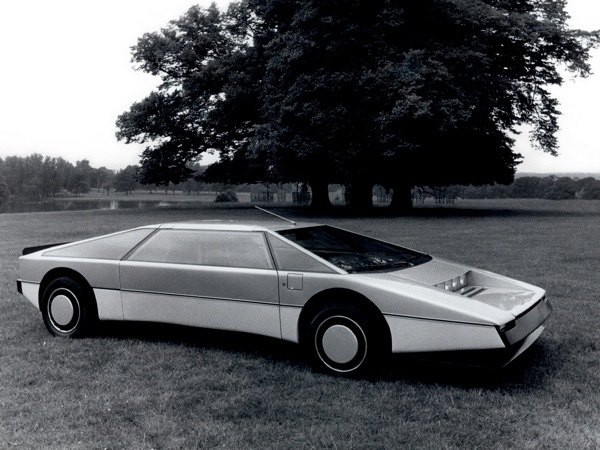 However, the new Aston Martin supercar for the 1980s, codenamed the DP K.901, was going to be so much more than capable of bloodying the nose of the Italian opposition. It was an advertisement for the renaissance of Aston Martin (unofficially ‘backed’ by Pace Petroleum’s Victor Gauntlett) following its rescue (by Curtis) from bankruptcy in 1975, showing off the capability of the company’s new external engineering facility at Newport Pagnell. 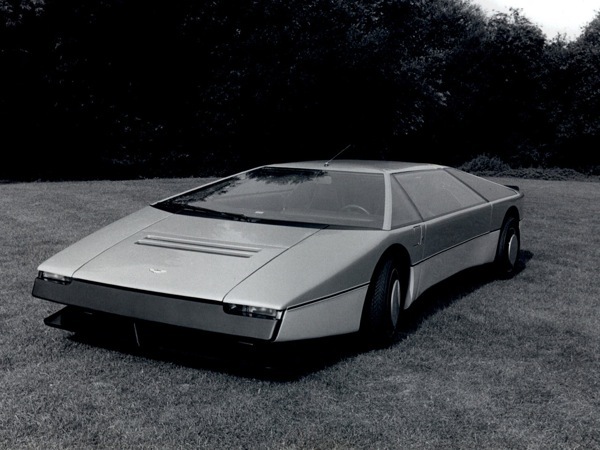 Curtis said at the time of the Bulldog’s launch on 27 March 1980 at Aston Clinton, that Aston Martin, ‘can build the ultimate roadgoing supercar.’ In terms of styling drama, it was will beyond the six-year old Countach and Boxer, but also its compatriot and rival hypercar, the Panther 6. 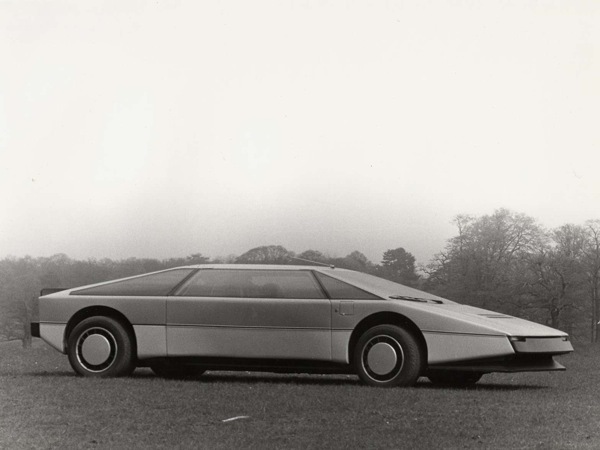 It was styled by William Towns and, like his then recent Lagonda saloon, majored on straight lines and dramatic angles. 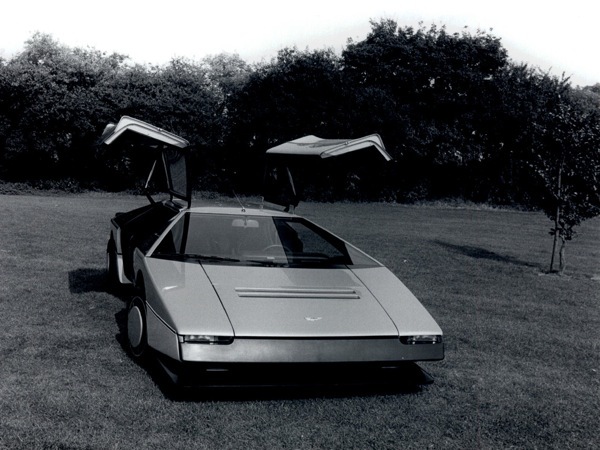 The Bulldog project kicked off in 1977, under the guidance of Chief Engineer Mike Loasby but, when he left for DeLorean in Northern Ireland in 1978, the programme was put on hold. It was only for a few months, though, as Projects Manager Keith Martin took over DP K.901 and pushed forward with the launch of the car, which became K9 before becoming Bulldog. The dramatic proportions were emphasized by its 1092mm height and drag co-efficient of 0.34 (way better than any of its rivals). Its piece de resistance was those gullwing doors. 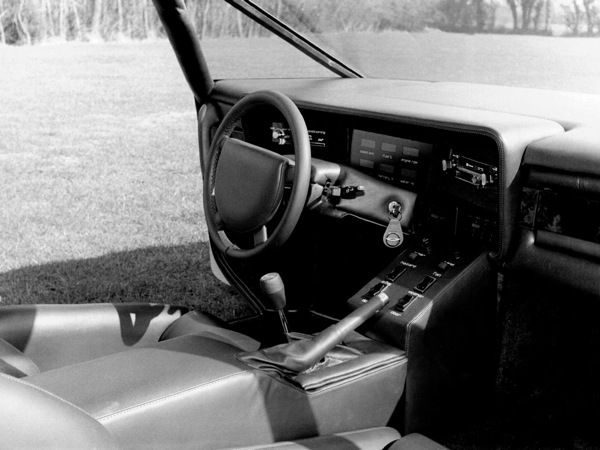 Unlike those fitted to the Mercedes-Benz 300SL or De Lorean DMC-12, these doors didn’t include roof panels (rather like the Lamborghini Marzal), making entry and exit somewhat awkward – still they certainly added drama, and tucked under and into the sills. The Bulldog was powered by a 600bhp twin-turbo version of Tadek Marek’s impressive Aston Martin V8 and, unlike any of its production counterparts, was mid-mounted in true supercar style. 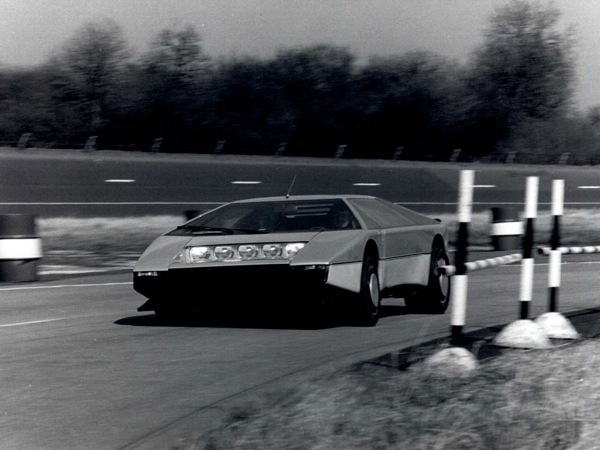 The car was performance tested before launch and, although it didn’t hit its hoped-for top speed of 200mph, it did manage to top out at 191mph – probably far in excess of where the Countach and Boxer were at the time. Unfortunately, the Bulldog’s arrival coincided with a downturn in its maker’s fortunes. The post-1979 recession hit Aston Martin’s sales and, as profits tumbled, plans to build between 15 and 25 Bulldogs never happened. 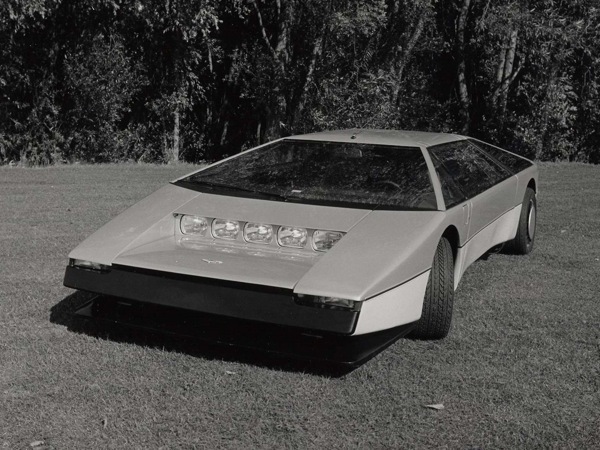 So the ultimate late 1970s supercar, including LED interior and dash and five lights hidden under the bonnet never went into production. Meanwhile, chairman Alan Curtis together with fellow shareholders American Peter Sprague and Canadian George Minden looked at closing the company but a chance meeting with Victor Gauntlett brought about a rescue plan – without the Bulldog being written into it. As for the one and only example, it was sold in 1984 to an American enthusiast for the sum of £130,000 in cash. It’s back in the UK now and regularly goes on show… as for its value now? Reckon on it being worth something over a million quid.